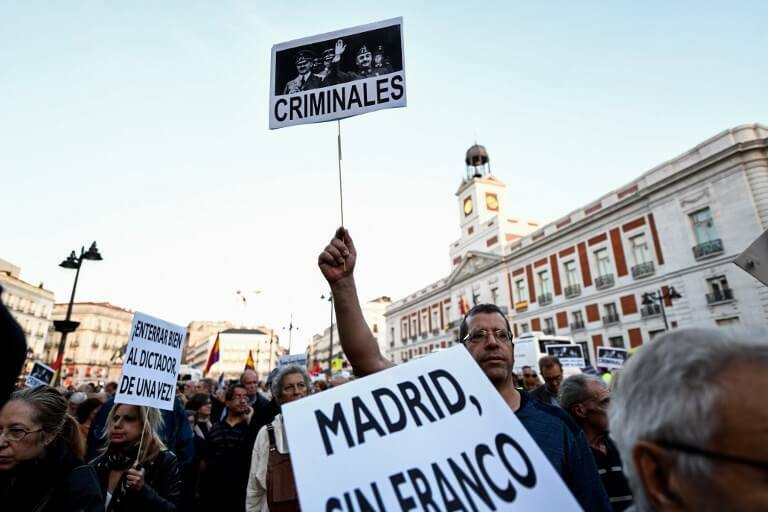 The Spanish Senate condemned the period of the Franco dictatorship on Wednesday, but members of the People’s Party (PP) and Ciudadanos (Cs) abstained. The two big right-wing groups did not vote in favour of the motion, which was presented by the ruling Socialists (PSOE). The text of the motion ‘strongly condemns’ the Franco dictatorship and ‘any kind of exaltation’ of the regime. The senators also celebrated the decision to exhume the dictator’s body from the Valley of the Fallen, saying it helps to put an end to an historical ‘anomaly’. The motion was passed by 97 votes in favour from the Socialist party (PSOE), Podemos and Catalan and Spanish nationalists. The PP, who hold an overall majority in the upper chamber, abstained, as did Cs and other smaller conservative parties. In total, there were 136 abstentions but no votes against, meaning the text could be approved. Senators from the Spanish socialists regretted the PP decision to abstain, arguing that in any other European country the text would have been passed ‘unanimously’.